Welcome home! 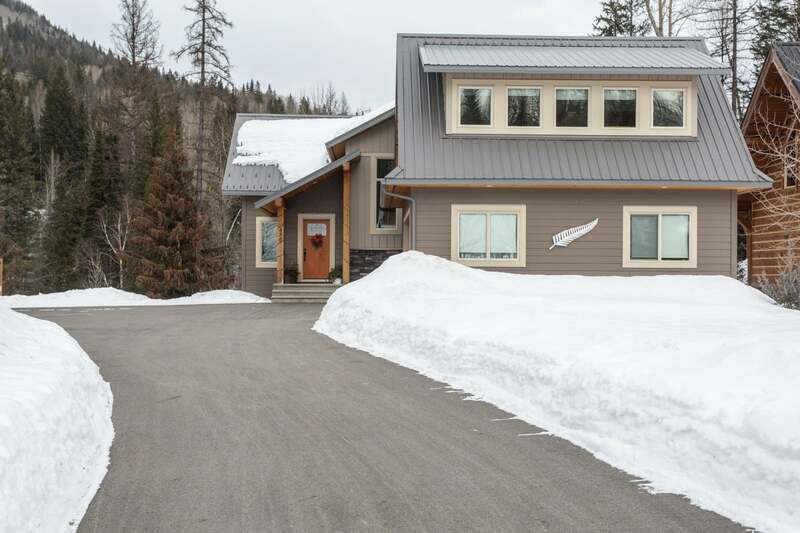 This lovely mountain modern home offers gorgeous views, plenty of privacy and sits on an over a half an acre, perched above Fairy Creek in the Canyon Trail neighborhood. The main floor is light filled and wrapped in windows which gaze toward mountains and green space. With an open floor plan, vaulted ceilings and a gas fireplace, it makes it a perfect place to entertain or relax with your family and friends. Upstairs you will find 3 large bedrooms and two bathrooms, along with a loft office. Enjoy listening to Fairy Creek as you fall asleep in the master bedroom which also features a walk in closet, private bathroom and gorgeous views of the Three Sisters. The walkout basement is stunning with modern bar and rec-room, gas fireplace, office/den and a full guest bathroom and bedroom. This location is simply hard to beat with lots of sunshine, privacy, no drive through traffic and gorgeous Fairy Creek at your back door. Recent work done to the exterior includes a new paved driveway, landscaping, road access to the back yard and a concrete pad off the basement, ready to go for a hot tub. The heated double garage enters the home through a functional mudroom with laundry and bathroom.What more can you ask for? Call your REALTOR® today to set up a viewing on this gorgeous home. Floor Area 2,670 Sq. Ft. Lot Size 0.531 Sq. Ft.